Cleora Sterling Corporation (CSC) was founded in 1975 as a general contractor specializing in retail store construction. Rhinobilt Inc. began a year later as a manufacturer of retail store fixtures. In 1978 the companies merged with Cleora Sterling being the surviving entity. The RhinoBilt logo has carried on within the company, symbolizing our employees and our product, strong and dependable. In 1994, an employee led group, together with the Cappelletti family, purchased the company. CSC has enjoyed remarkable growth since then, adding custom millwork and casework to its product line, while continuing to manufacture retail store fixtures. Today CSC occupies over 35,000 sq. ft. of manufacturing and warehousing space. Its RhinoBilt Products offer customers a complete line of products available directly from the factory, resulting in a significant savings from what is typically available at retail outlets. 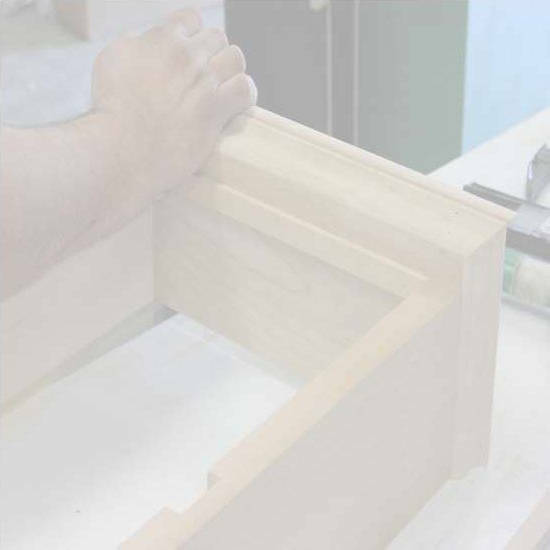 CSC focuses on manufacturing high quality millwork fabricated from wood and laminate, and often incorporates metal, stone, glass, and solid resin into its products. CSC believes that exceptional customer service is achieved only with exceptional employees. We are committed to our employees through a comprehensive program that includes performance based career-pathing, profit sharing, and ownership equity. CSC is a member of the Architectural Woodwork Institute (AWI).